I've been researching QR codes. I am SUPER excited about this! I made one for the opening page of my class website. My family thought it was creepy. Both husband and child stared at me in disbelief. Here it is. 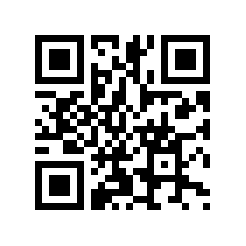 If you have a smart phone, you can download the app for the QR code reader. I changed it! It was creepy. Don't want to scare the parents and students. What if I use Vocaroo? Gotta try that. Create a setting...have students create a voice over for the setting to describe it. Create a "Choice Your Own Adventure" story. Math problems at math stations. QR codes as answers. Hyperlink to a form to fill out. Link to a book trailer. Here is the site to make your own. For the desktop you can also install a little bit of software that will use a webcam to read the codes.